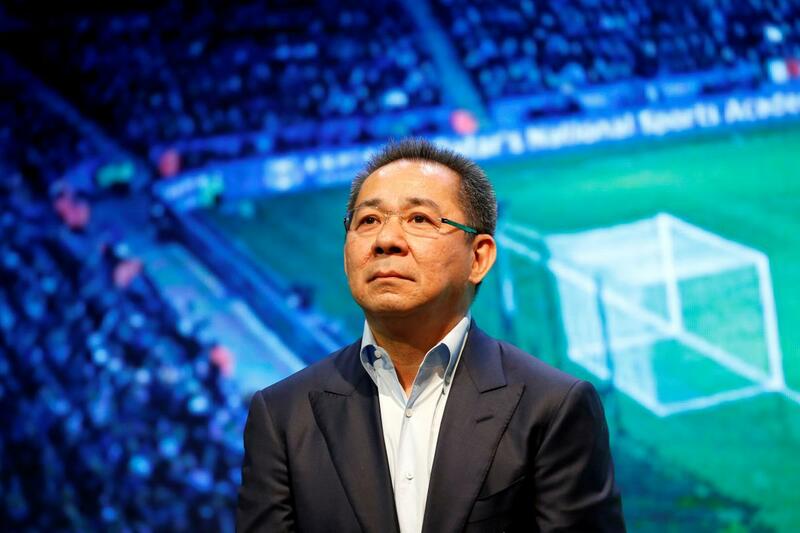 Leicester players to wear special kits in tribute to owner Vichai - SABC News - Breaking news, special reports, world, business, sport coverage of all South African current events. Africa's news leader. Leicester City players will wear shirts with club owner Vichai Srivaddhanaprabha’s name embroidered on them when they play their first home match since the Thai tycoon was killed in a helicopter crash, the Premier League club said. Vichai was one of five killed in the crash near the King Power Stadium after Leicester’s last home league match on Oct. 27. Both teams will wear black armbands during the game, with a two-minute silence to be observed before the kick off, while Leicester’s players will wear the tribute shirts in the first half and shirts with a poppy emblem for the second to commemorate Remembrance Sunday. “The Srivaddhanaprabha family and everyone at Leicester City Football Club have been deeply moved by the remarkable volume of generous and thoughtful tributes left at King Power Stadium,” the club said in a statement. This entry was posted on 08 Nov 2018,05:54AM at 5:54 AM and is filed under Sport, Homepage Featured Story Slider. You can follow any responses to this entry through the RSS 2.0 feed. Both comments and pings are currently closed.